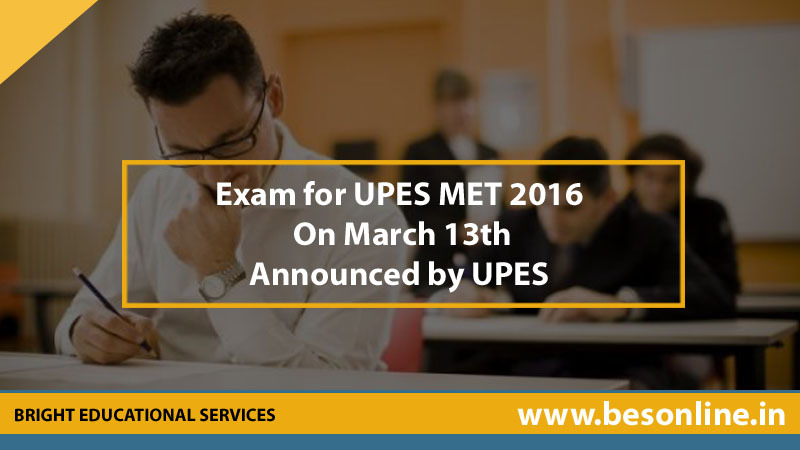 Examination date of UPES Management Entrance Test (UPES MET) has been published to be conducted on March 13th by UPES or University of Petroleum and Energy Studies. The willing students must have completed Class 12 from a recognized institute or board. Interested and eligible candidates must apply in the prescribed format. The selection of the candidates will be done based on their performance in the group discussion or interview. This exam is performed for MBA (Master of Business Administration) admission programme, for the academic session of 2016, in the high growth sectors of Oil & Gas Management, Port & Shipping Management Power Management, Aviation Management, Business Analytics, Energy Trading, Infrastructure Management, Marketing, Financial & Accounting, Logistics & Supply Chain Management, International Business, Operations Management and Human Resources.